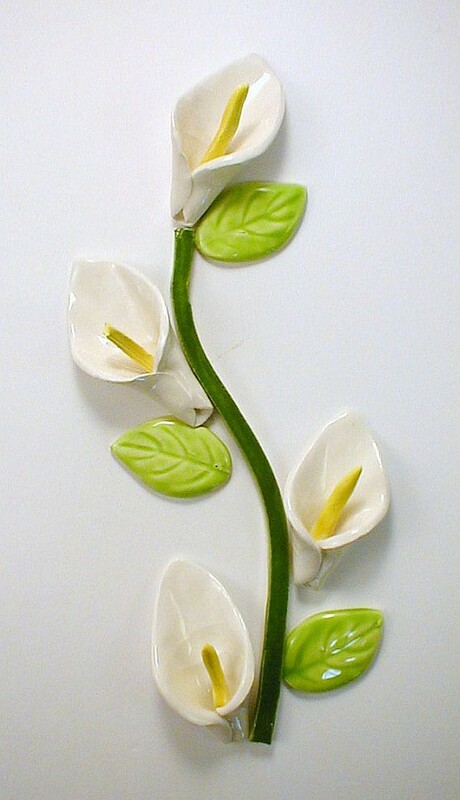 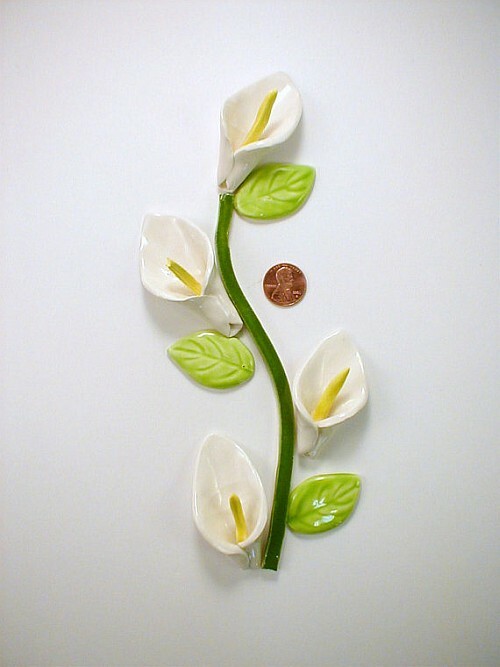 The lilies are about 2 1/4 inch (55mm) each and the stem is about 6 1/2 inch (160mm) in length. 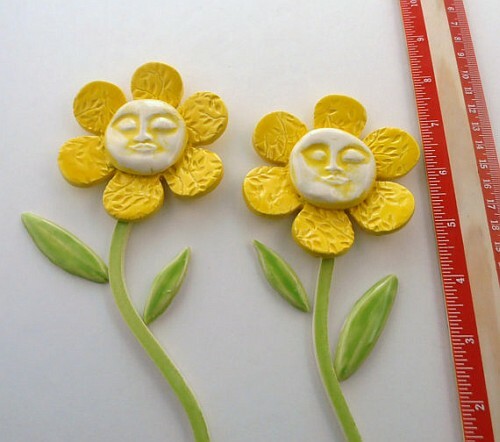 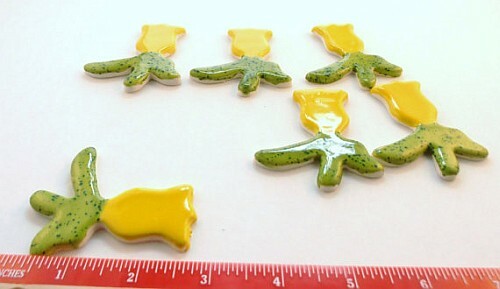 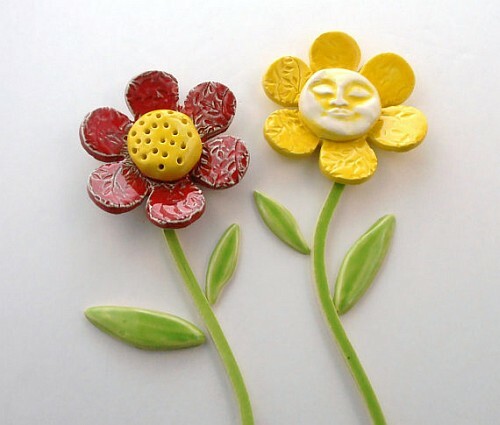 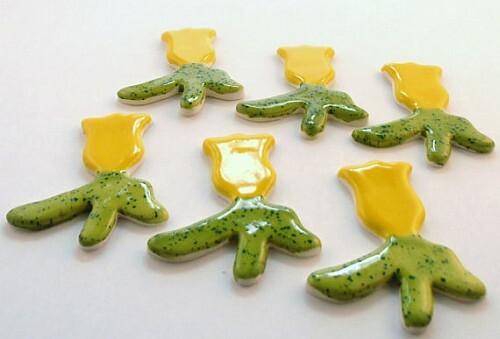 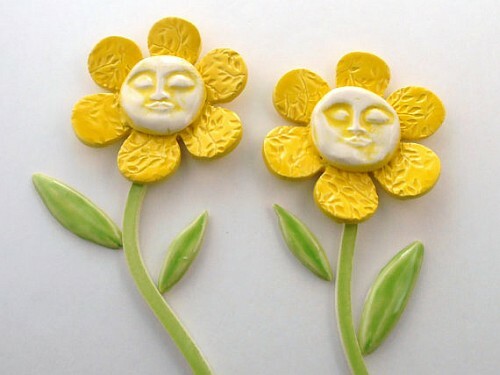 The ceramic flower tiles have been made out of wet clay then painted, glazed, and fired in a kiln twice which makes them strong and waterproof. 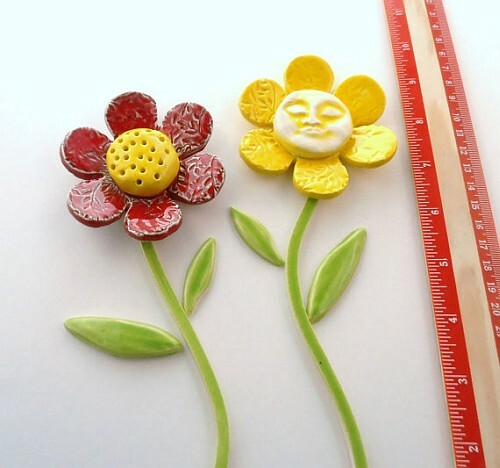 They are flat on the back for easy attachment to any project.